A cataract is a clouding of the eye's lens. It makes it hard for you to see. A cataract won't spread from one eye to the other, but many people get them in both eyes. As the cataract grows and gets cloudier, it may become harder to read and do other tasks. 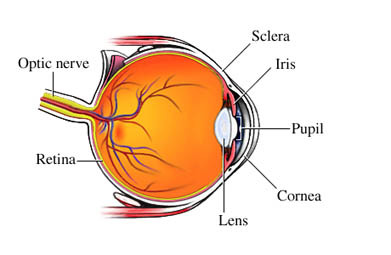 Many people are not aware that their eyesight is blurry because cataracts grow slowly over time. What are the risk factors for cataracts?What are the symptoms of cataracts?How are cataracts diagnosed?What are the treatments for cataracts?Are there screening tests for cataracts?How can I reduce my risk of developing cataracts?What questions should I ask my healthcare provider?What is it like to live with cataracts?Where can I get more information about cataracts? Facts about cataract. National Eye Institute website. Available at: https://nei.nih.gov/health/cataract/cataract%5Ffacts. Updated September 2015. Accessed February 13, 2019. Informed consent: obtaining from patients undergoing surgery. EBSCO Nursing Reference Center website. Available at: http://www.ebscohost.com/nursing/products/nursing-reference-center. Updated September 14, 2018. Accessed February 13, 2019. 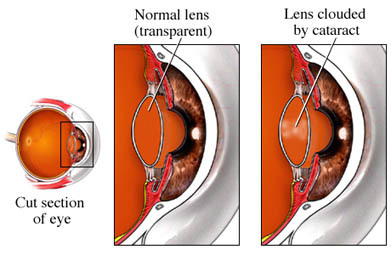 What is a cataract? NIH Senior Health website. Available at: https://nihseniorhealth.gov/cataract/whatisacataract/01.html. Updated January 2013. Accessed May 10, 2017.